2015 sees this story continue with Tom’s latest remix being signed to Defected Records and landing Defected’s “Most Rated” track accolade (Feb 2015). Hailing from London England, Tom’s DJ career began in the late 80’s playing alongside legendary DJ’s like Robert Owens, Todd Terry, Marshal Jefferson & Kerri Chandler at many world famous venues including The Mud Club, Bagley’s Warehouse, Pacha, Ministry of Sound & the Roxy in New York. As well as two & a half decades as a successful DJ, Tom’s production career started way back in 1993 with his 1st release being used by Kiss FM as one of their jingles. This E.P also lead to Tom being signed by Swing City Records, one of the UK’s most prolific House music labels. 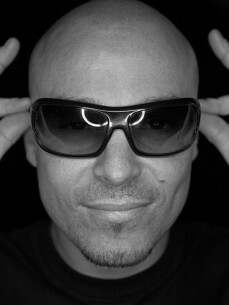 His talents as a producer were apparent from the start & over the years Tom has been lucky enough to work on remixes of huge house music classics including “Step 2 Me’ on Virgin Records, “Aquela Esquina” by Negrocan, licensed to Universal Music & most recently “Loving You” by Frankie Knuckles, Kenny Summit & Eric Kupper on Good For You Records. Although Tom has always been at the cutting edge of House music, he tends to shy away from following trends & has a reputation for blazing his own trail behind the decks & in the studio. Either way, Tom is without doubt one of the old school pioneers of a genre that has become a vast global industry... HOUSE MUSIC!